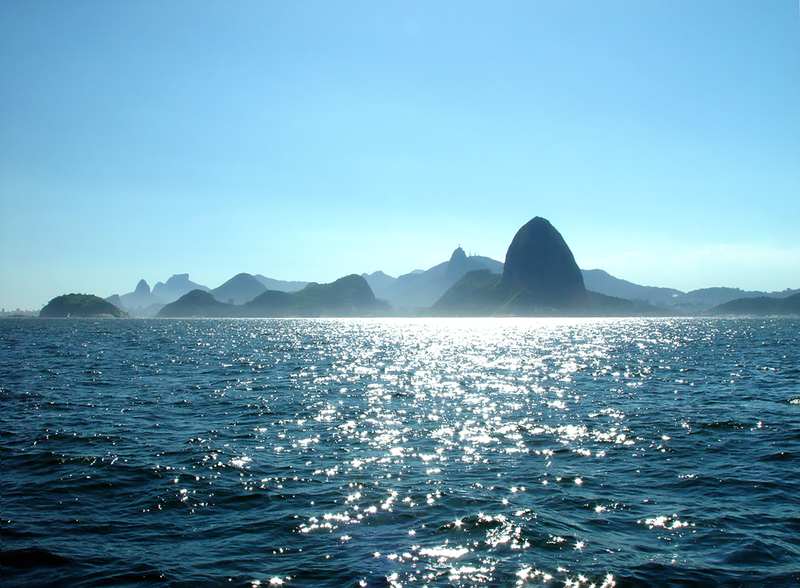 Get to know Brazil in this fascinating trip of discovery. Behold the wonders of Brazilian nature as you survey the mighty Iguaçu Falls, the floodplain of the Patanal, and the mythical Amazon. Dive into Brazil’s rich history in Paraty, and explore the sophisticated and iconic cities of Rio de Janeiro and São Paulo. At Travel Beyond, we believe your trip should be designed just for you, not for the masses. Our travel consultants create a custom itinerary for each client, offering recommendations for places and experiences that best fit your style. 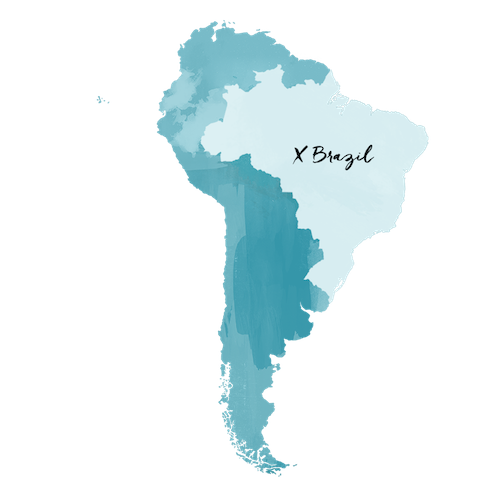 The itinerary below was planned for a past client, but we’re sharing it for travel inspiration and as an example of what a trip to Brazil might look like. 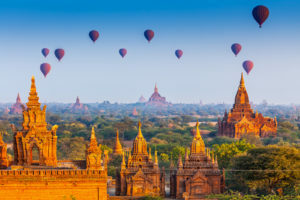 Let us know when we can design a trip just for you! Upon arrival in Iguaçu, Brazil, you will be met by a Travel Beyond representative for your private transfer to Belmond Das Cataratas Hotel, the only hotel within Brazil’s Iguaçu National Park. Enjoy two nights in a Deluxe Falls View Room, including breakfast daily. From its source located here in Brazil, the Iguaçu River grows into a winding course of more than 300 miles before emptying into the Paraná River and culminating in the spectacular Iguaçu Falls, a 1.5-mile-wide spectacle with more than 200 drops. The largest drop is dauntingly known locally as the “Devil’s Throat,” where the water plummets more than 2,230 feet, exploding onto the rocks below in a haze of fine mist. Later, you will be met by a Travel Beyond representative for your tour of the Brazilian side of Iguaçu Falls. Your one-hour walking tour of this side of the falls takes you along a catwalk to admire the falls from several different viewpoints. At the end of the walk, you will find a fantastic close-up encounter with the Devil’s Throat and main falls. After your tour, you will be returned to your hotel. Enjoy the remainder of your day at leisure. This morning after breakfast you will be met by a Travel Beyond representative for your full-day tour of the Argentinean side of the Falls. Shortly after completing the border crossing into Argentina, you will arrive at the Falls. Begin your tour at the Visitors’ Center, which offers an excellent insight into the rich biodiversity of the area. Next, explore the massive system of waterfalls along a series of catwalks. After, take a boat ride to the face of the iconic Devil’s Throat for an exciting up close and personal experience. Be prepared to get wet! After your tour, you will be returned to your hotel. Enjoy the remainder of your evening at leisure. This morning after breakfast, you will be met by a Travel Beyond representative for your private transfer to the Iguaçu Airport for your flight to Rio de Janeiro. 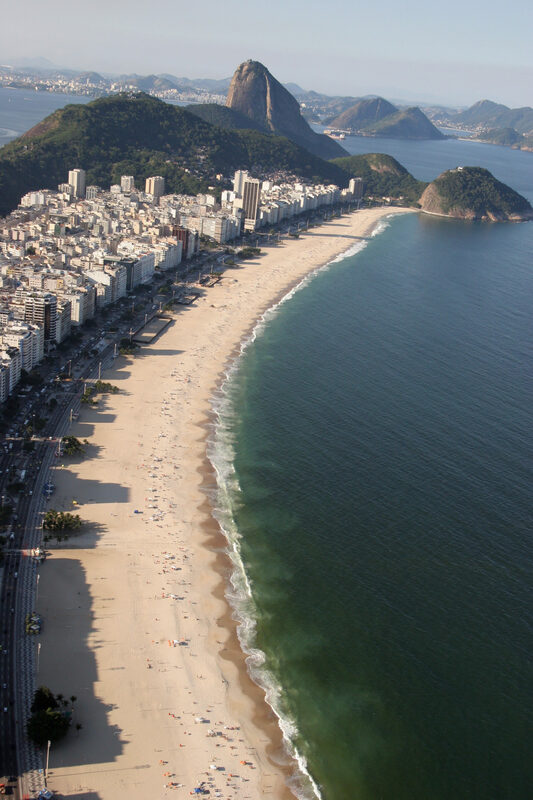 Upon arrival in Rio, you will be met by a Travel Beyond representative and transferred to the Copacabana Palace where you will spend two nights in a Deluxe Ocean View room, including breakfast daily. Over its nearly 500 years of history, Rio de Janeiro has been the spring board for Brazil’s principal cultural exports, and the port of entry for everything from major art exhibitions to contemporary music events. 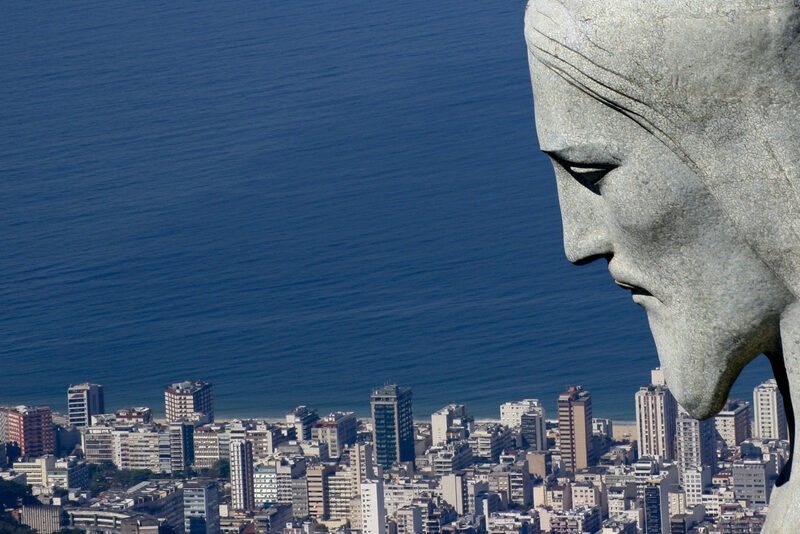 Rio’s architecture embraces churches and buildings dating from the 16th through 19th centuries, while seamlessly blending with world renowned designs of the 20th. In the South Zone, along the sea front, the city preserves the memory of names such as Tom Jobim and João Gilberto, who wrote the first chords of the Bossa Nova. Later today, you will be met by a Travel Beyond representative and transferred to your half-day Brazilian Cooking Class. Chef Simone Almeida has been offering Brazil’s premier cooking class since 2009. Her job is not just to teach delicious Brazilians recipes, but to explain Brazilian culture through food. You will learn a few Brazilian drinks, such as caipirinha and batida de coco, and a few appetizers, such as cassava sticks and flambéed sausage, before you start on the main dish. After your class, you will be returned to your hotel. Enjoy the remainder of your evening at leisure. This morning after breakfast, you will be met for your full-day tour of Christ the Redeemer and the Morrinho Project. 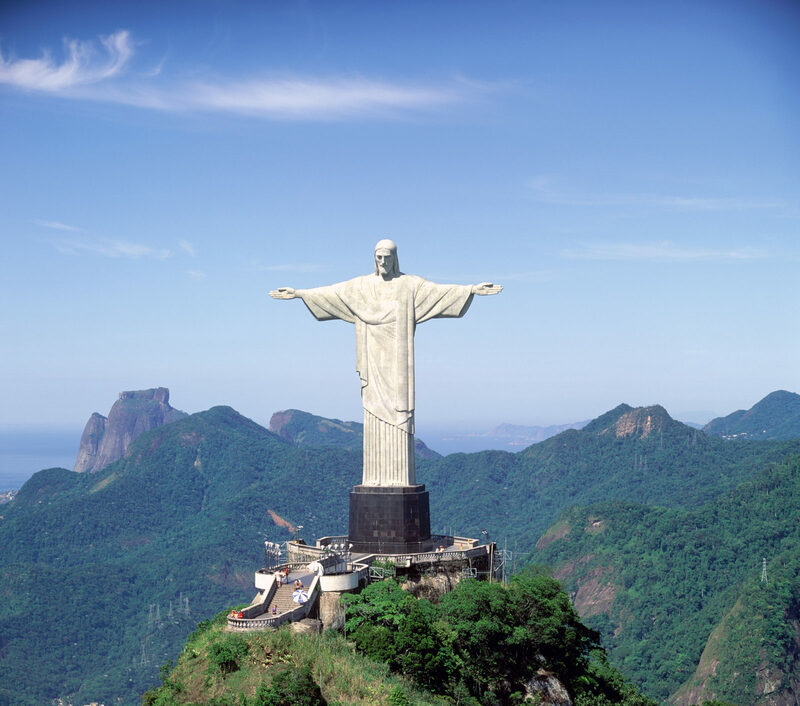 Begin at Corcovado Mountain, where you will see the Christ the Redeemer monument. With a height of 125ft, this is the most important and iconic symbol of Rio de Janeiro, and has been named one of the New Seven Wonders of the World. 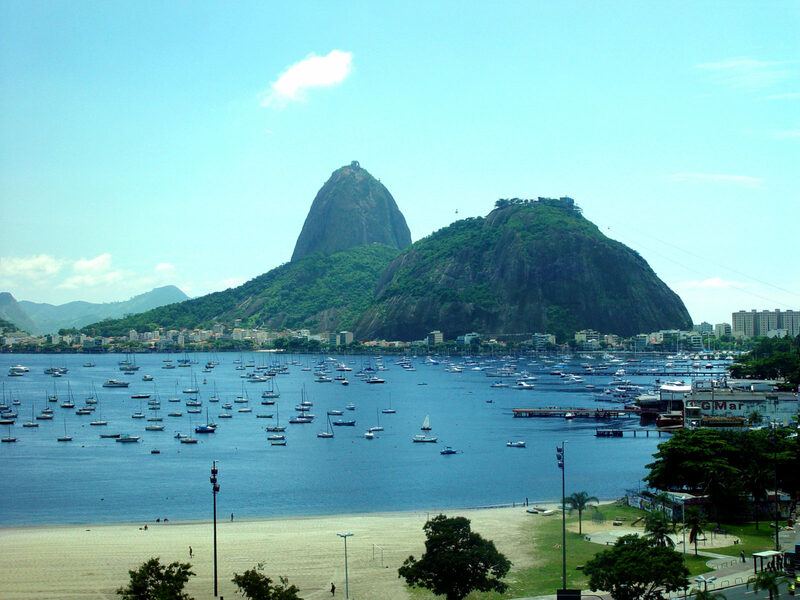 Enjoy a panoramic view of Rio before returning to the city. Enjoy lunch at Aprazivel restaurant in the charming Santa Teresa neighborhood, with views over the city and the bay beyond. Next, visit the Morrinho Project, a social and cultural project based outside the Pereira da Silva favela in the Southern Zone of the city. At more than 4,800 square feet, the Morrinho Project is a miniature replica of different favelas across Brazil. 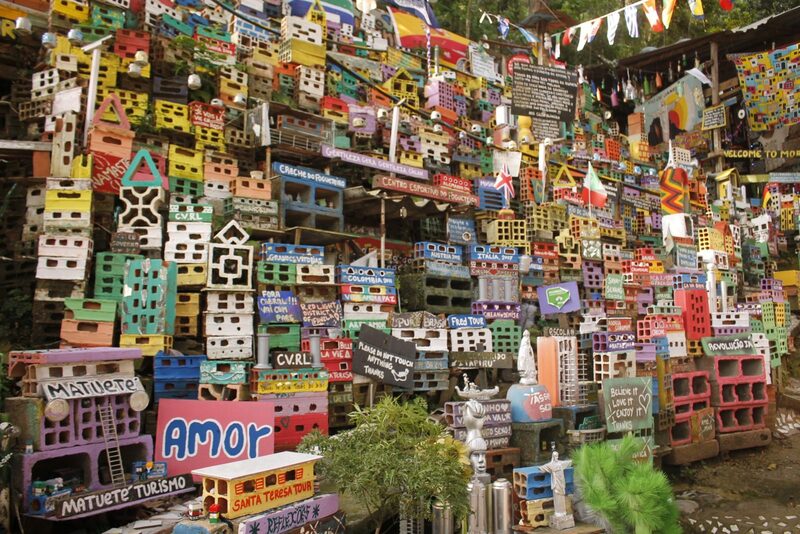 The art installation is made of brick and other recycled materials and its aim is to educate visitors about the realities of life in the favela, and these young artists have been invited to create exhibitions around the world. After your tour, you will be returned to your hotel. Enjoy the remainder of your day at leisure. This morning after breakfast, you will be met by a Travel Beyond representative for your private transfer to Paraty and Pousada Literária Hotel. 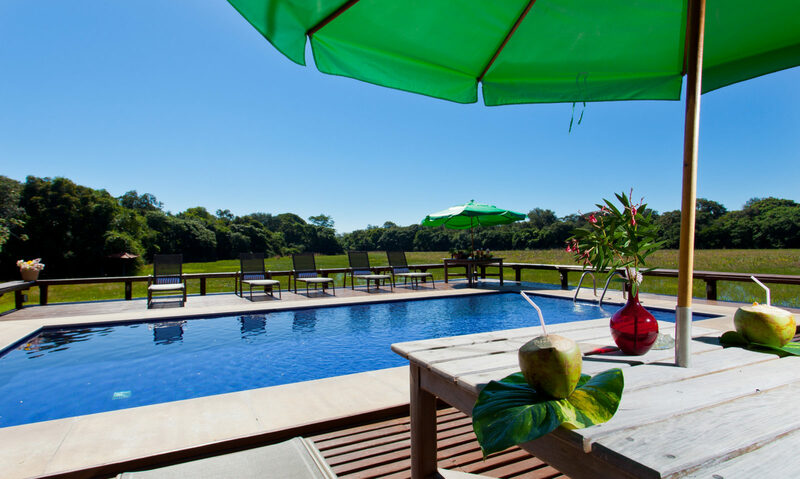 Enjoy two nights in Paraty, including breakfast daily. This afternoon, you will be met by a Travel Beyond representative for your Paraty Walking Tour. Immerse yourself in the beautiful colonial architecture, street design ahead of its time, exiled Portuguese royalty, and the dark past of the slave trade. In the eighteenth century, Paraty was an important port in the transportation of the gold and precious stones that were to be shipped to Portugal. Unfortunately, pirates took refuge in Paraty’s beaches, and their assaults ultimately changed the gold route and left the city in economic isolation. Today, it is a beautiful colonial city, considered a World Heritage Site, that has preserved its natural and architectural charm. After your tour, you will return to your hotel. Enjoy the remainder of your day at leisure. Today after breakfast you will be met by a Travel Beyond private guide for your half-day Paraty Boat Tour. Paraty is surrounded by lush rain forest vegetation and crystalline water, perfect for swimming and snorkeling. A terrific way to explore the region is by boat, allowing you to visit the beautiful secluded beaches nearby. Your guide will explain local lore and history along the way. Upon completion of your tour, you will be returned to your hotel. Enjoy the remainder of your day at leisure. This morning after breakfast, you will be met by a Travel Beyond representative for your private transfer to the Rio de Janeiro Airport for your flight to Campo Grande. Upon arrival in Campo Grande, you will be transferred to Deville Prime Campo Grande Hotel where you will stay for one night, including breakfast. Enjoy the remainder of your day at leisure. 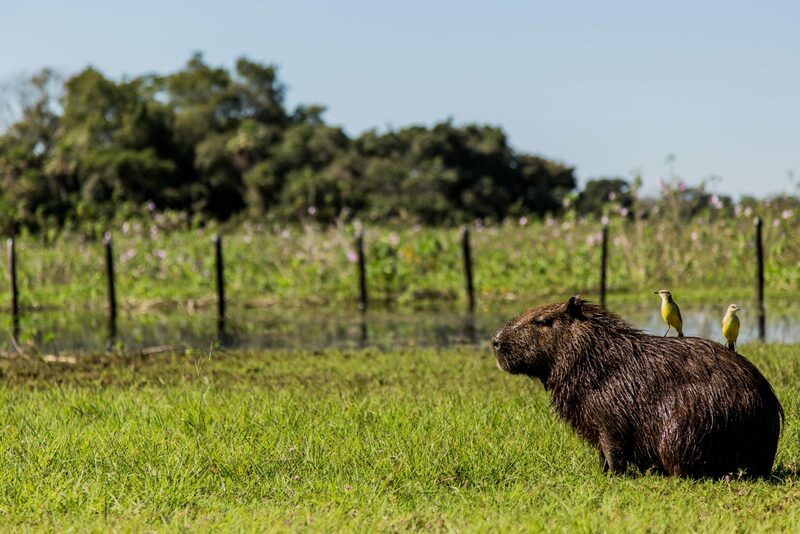 This morning after breakfast, you will be met by a Travel Beyond representative for your private transfer to Caiman Ecological Refuge in the Pantanal. Enjoy three nights in a Cordilhiera room, including all meals and shared activities. Caiman Ecological Refuge is a pioneering ecotourism enterprise, located on a 131,000-acre private reserve. 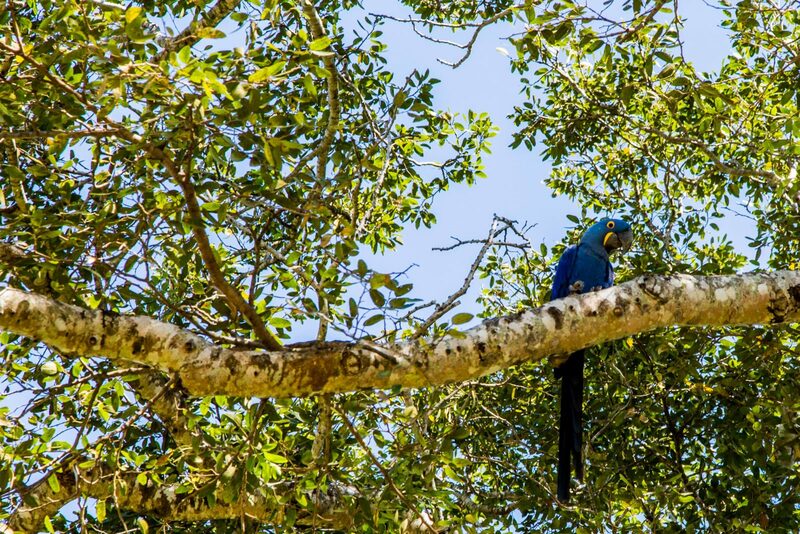 In addition to ecotourism, Caiman is involved with cattle production, as well as environmental research and conservation projects, including the Hyacinth Macaw Project and Blue-Fronted Parrot Project, all done through partnerships with researchers and universities. Caiman’s Environmental Interpretation Center is a cultural experience, designed to show a complete panorama of the ecosystem and Brazil’s history. This evening, you will be met for your first activity, followed by dinner. 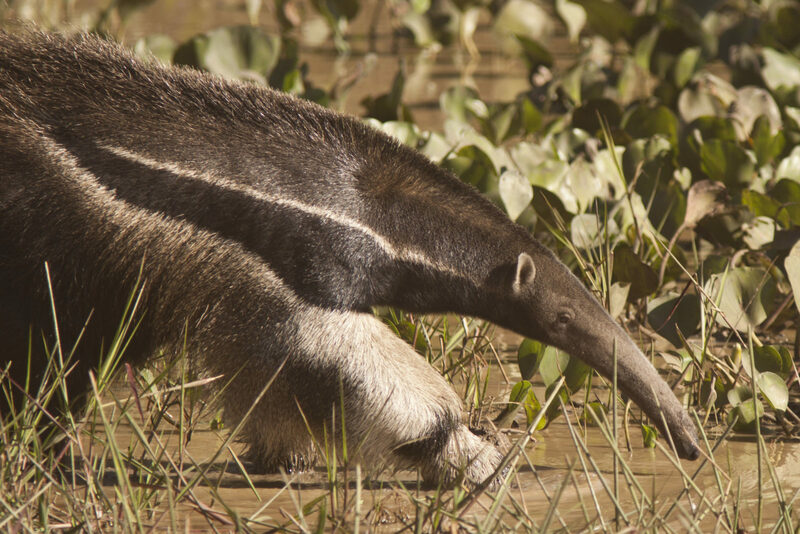 The Pantanal is the largest continuous wetland in the world, covering an area of more than 54,000 square miles in Brazil, Paraguay, Bolivia and Argentina. This World Heritage Site has diverse aquatic animal life; hundreds of different fish guarantee a rich bird population (more than 600 species live in the area). There is also a large population of reptiles and mammals, such as caimans, capybaras, monkeys, jaguars, armadillos, coatis and anteaters. Enjoy your days at leisure to explore the area and the activities on offer at the refuge. 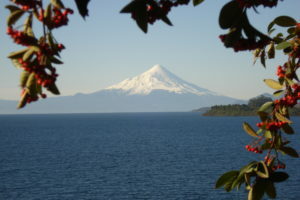 Activities are intended to promote direct contact with local fauna, flora, geography and culture. 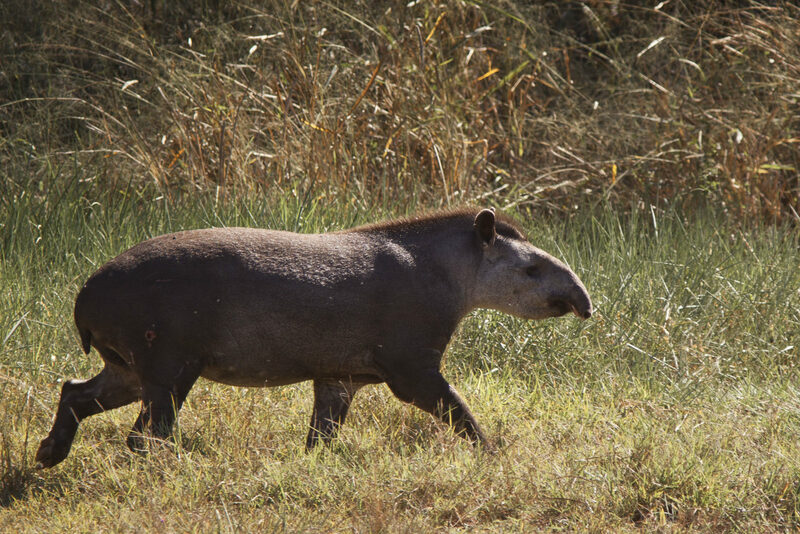 All tours and activities undertaken at Caiman Lodge are accompanied by expert naturalist guides and local field guides with a deep knowledge and understanding of the area. 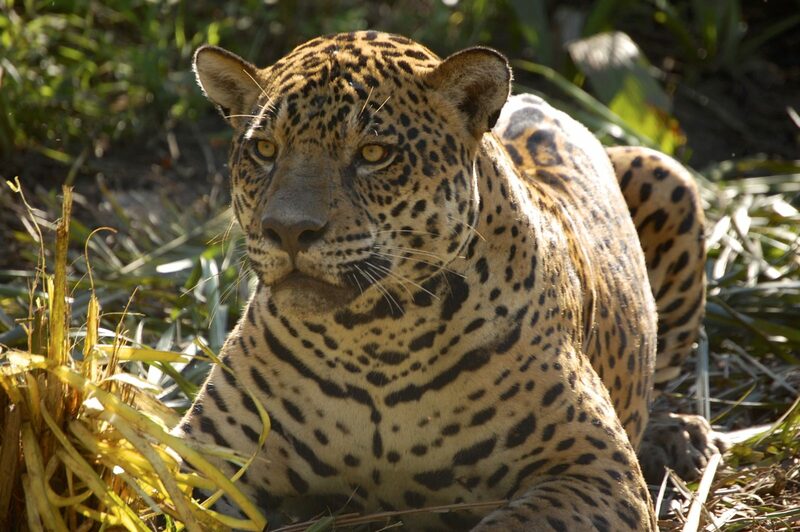 Available activities include walking trails in the woods, refuge tours, photographic safaris, canoe trips, nocturnal spotlighting, astronomy, and the Jaguar project. All meals will be served at the lodge. This morning after breakfast, you will be met by a Travel Beyond representative for your private transfer to the Campo Grande Airport for your flight to Cuiabá. Upon arrival in Cuiabá, you will be met by a Travel Beyond representative for your private transfer to Grand Odara Hotel, where you will stay for one night, including breakfast. Enjoy the remainder of your day at leisure. This morning after breakfast, you will be met by a Travel Beyond representative for your transfer to the Cuiabá Airport for your flight to Alta Floresta. Upon arrival in Alta Floresta, you will be met by a Travel Beyond representative for your transfer, by vehicle and boat, to Cristalino Jungle Lodge. 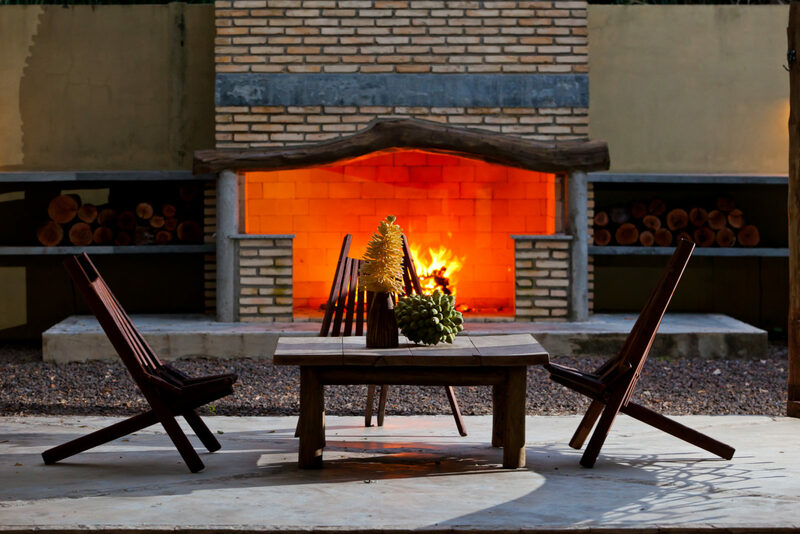 Enjoy three nights at the lodge, including all meals and activities on private basis. The Cristalino Jungle Lodge is in the middle of a Private Natural Heritage Reserve in the Southern Amazon, surrounded by the banks of the Cristalino River. The hotel lies just beyond the borders of the Cristalino State Park, an extremely important conservation area, connecting to other protected areas and forming a huge conservation corridor. Every evening, your guide will share the activity options for the following day, and assist you in arranging the best excursions according to your interests and abilities. 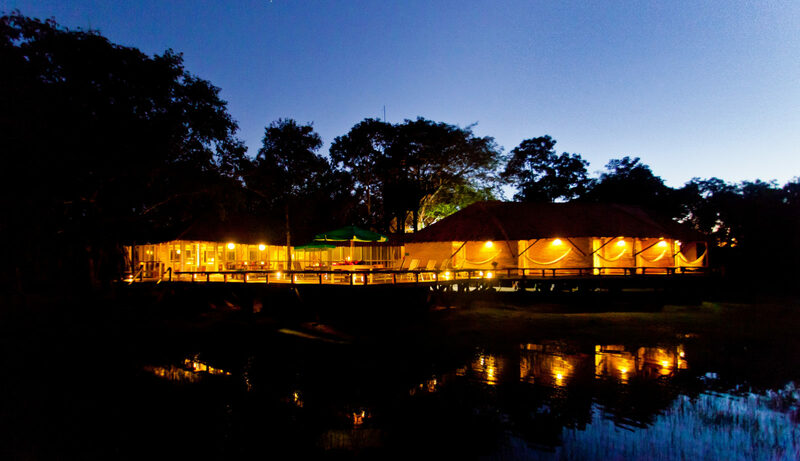 Enjoy your days at leisure to explore the area and the activities on offer at the lodge. Available activities include canoeing on the calm waters of the river, nature walks along some of the 19-mile trail systems, forest canopy tours, flora and fauna observation, and boat trips. No matter the activity, keep your eyes out for the unique Brazilian fauna and flora found in this region, including: harpy eagle, Brazilian tapir, giant otter, white-whiskered spider monkey, white collared peccary, several species of monkeys, the crimson-bellied parakeet, the curl-crested Aracariparadise, tanager, crested owl, pavonine quetzal and purple honeycreeper, just to name a few! This morning after breakfast, you will be met by a Travel Beyond representative for your private transfer to the Alta Floresta Airport for your flight to Cuibana, continuing to São Paulo. On arrival in São Paulo, you will be met by a Travel Beyond representative for your private transfer to L’Hotel PortoBay, where you will stay for one night in an Executive Balcony room, including breakfast. Enjoy the remainder of your day at leisure. With a population of about 11 million, São Paulo is the largest city in Brazil and the center of activity, offering a bustling nightlife and an intense cultural experience. Your hotel, located in Alameda Campinas, is your oasis – away from the busiest streets, while still close to some of the best shops, restaurants and bars in the city. This morning after breakfast, you will be met by a Travel Beyond representative for your half-day São Paulo Walking Tour. 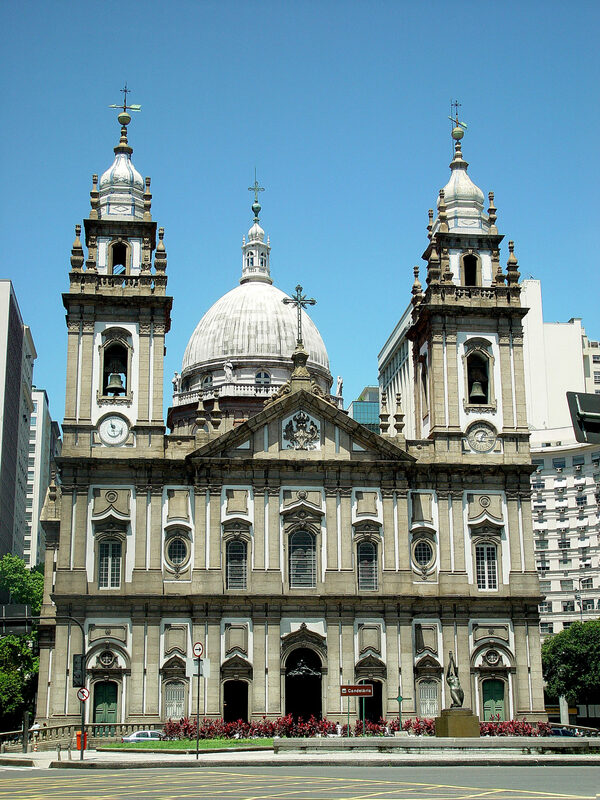 Your tour will start with visits to the Municipal City Market and São Bento Monastery. Next, walk along XV de Novembro Street, arriving at the spot where São Paulo began – the Páteo do Colégio Square. Continue to the Third Order of Mount Carmel Church and Sé Cathedral, then cross the Chá Viaduct and arrive at the amazing Municipal Theatre where you will have time to stop and enjoy a cup of coffee. Finally, visit trendy Paulista Avenue, one of São Paulo’s busiest and longest avenues. 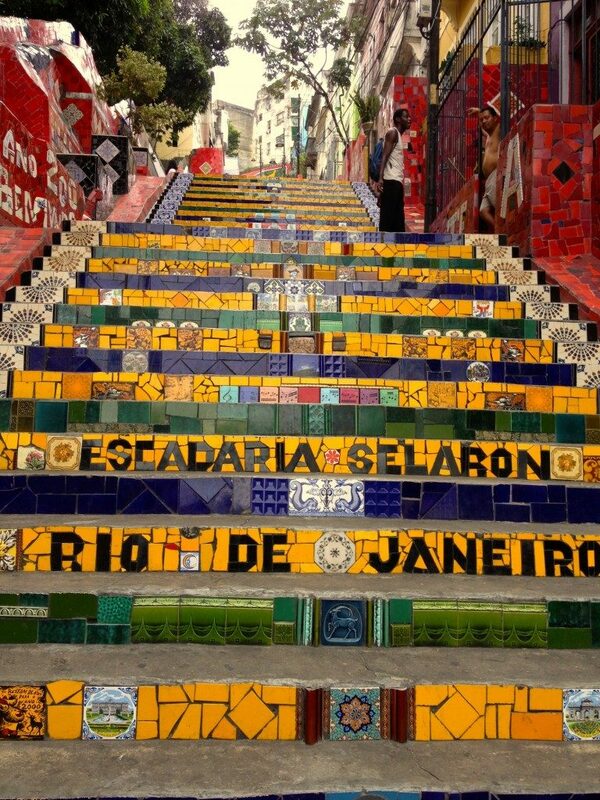 Upon completion of your tour, you will be transferred to the São Paulo Airport for your flights home.